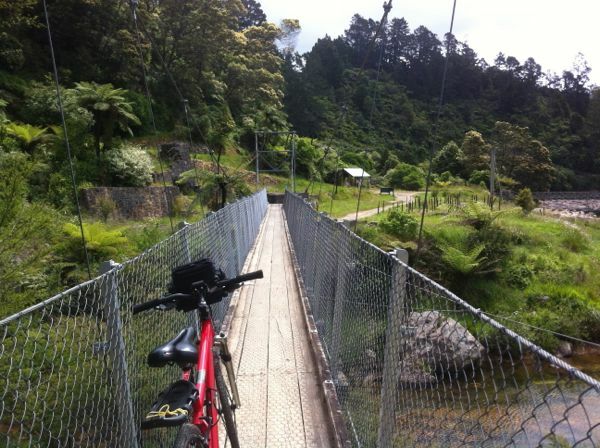 At the foot of the Coromandel Ranges is what is touted as the “Easiest riding Trail in New Zealand” You can do some of it, or all of it – up to three days leisurely riding. 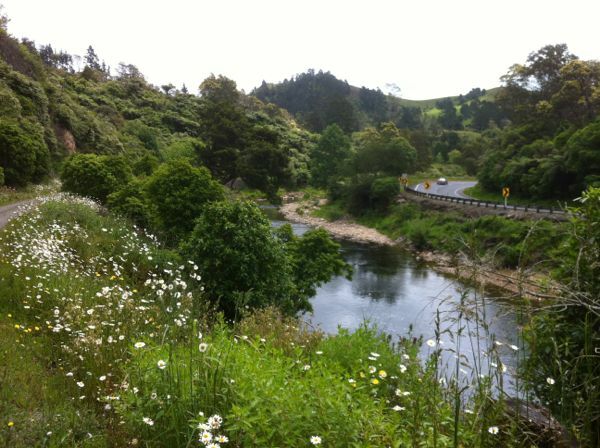 An easy drive from Tauranga, Hamilton or Auckland, the 82 km trail is accessed at Thames, Paeroa, Te Aroha, Waihi/Waikino. 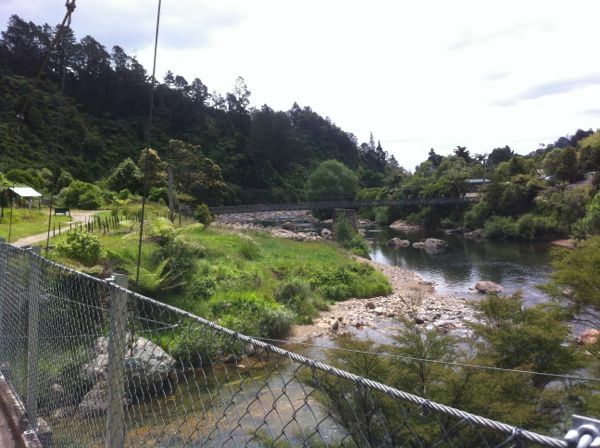 It follows the path of two historic railway lines running from Thames to Paeroa, Waikino and Te Aroha, while a new path will link Waikino to Waihi. 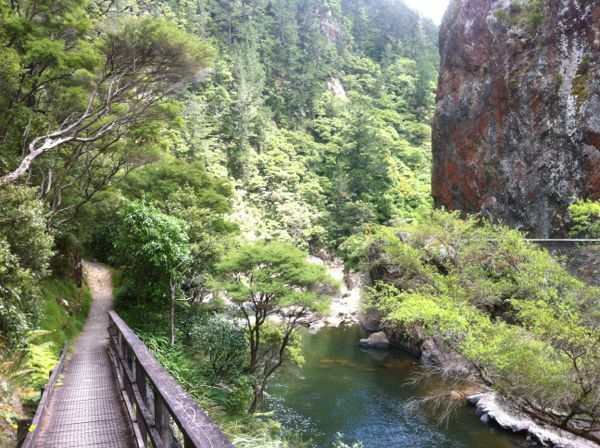 The most spectacular part of the track is through the Karangahake Gorge, and last weekend as a sunny Saturday was promised, we set out from Hamilton to do the Gorge part of the trail – 7km. As we drove down it seemed we were not the only ones with this idea – every second car seemed to have bikes on their towbars. It was a fabulous Spring day, and everyone seemed keen to be out and about. 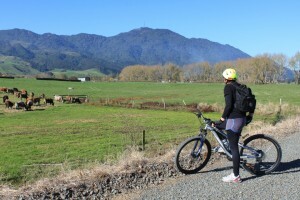 As we drove near Paeroa, we could see some cyclists on the track through farmland. 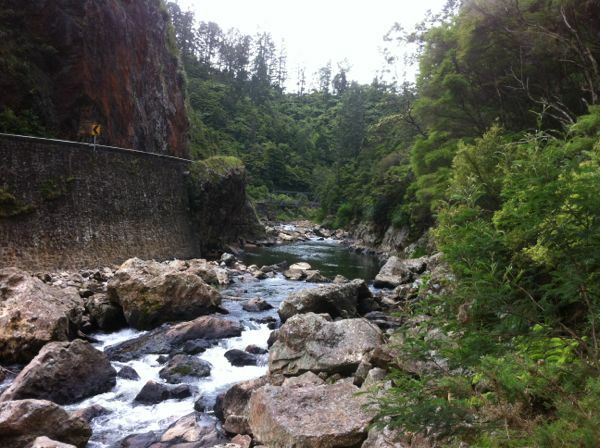 We had a dog with us, so we were limited to the Karangahake Gorge part of the trail, but this was the part I had always wanted to do, so no problems. 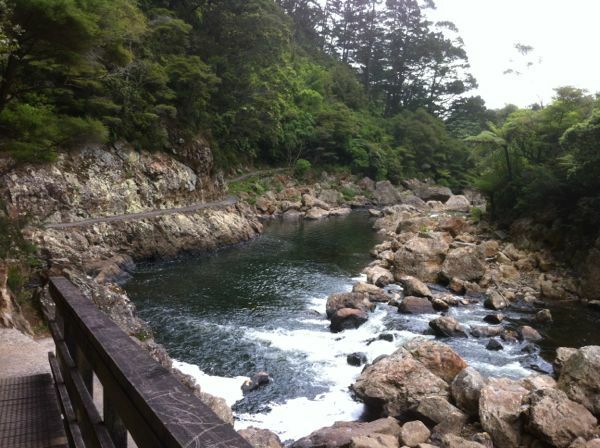 We started well with a fabulous lunch at Talisman Café & Crafts near Karangahake Gorge car park. This place is a gem – a gorgeous old house in a funky garden setting, all the tables had real garden flowers on them, and the meals came decorated with them too. The coffee was great and while we sat in the sun and awaited our meals, we studied the maps and information about the trail that they had displayed. 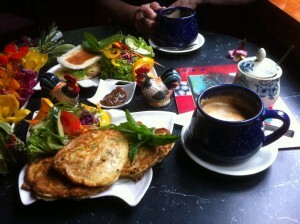 The food was well priced, with great presentation and tasted great – I had mussel fritters and salad. 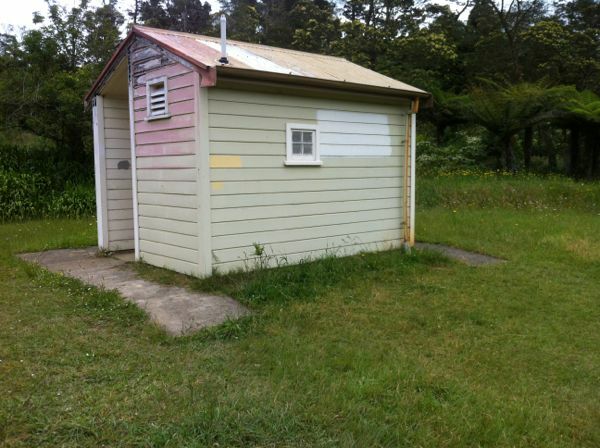 I have been before and I would definately come here again. 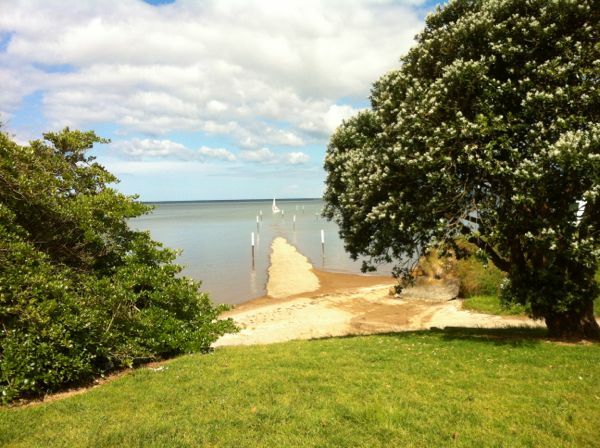 Though I might also be tempted to try the Waikino cafe at the other end of the Gorge ride, just to see what it is like. The kilometre long tunnel was closed while we were there (if it is open, you do need a torch! 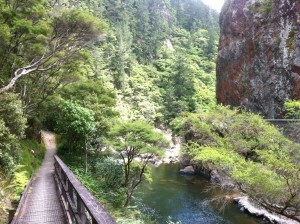 ), which meant that we got to enjoy the very best part of this walkway through the Gorge itself. We had to walk our bikes, but it was worth it – if the tunnel is open, I highly recommend locking your bikes and walking back along this part of the trail. 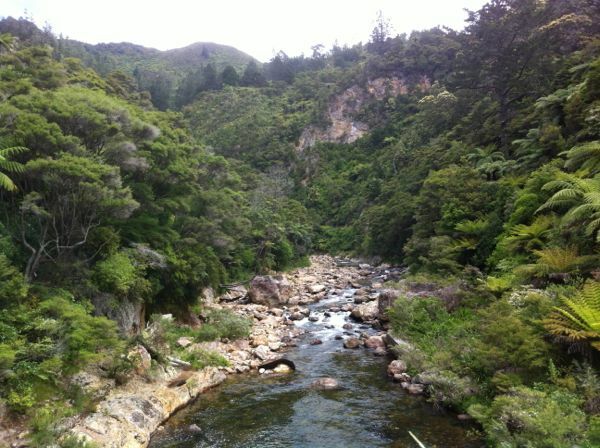 – I think we will have to come back and do more of the trail. 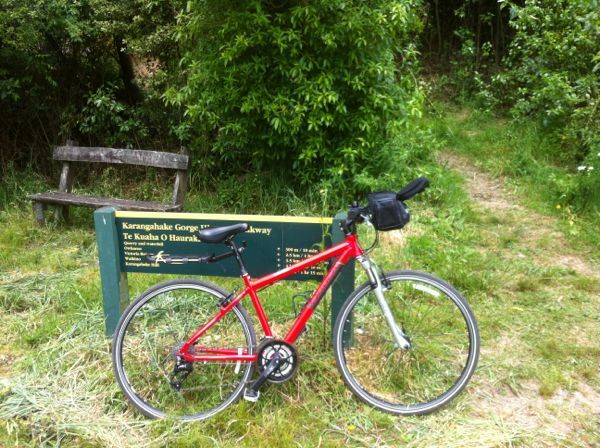 Sherpa Shuttle operates to transport you and your bikes from point to point, though bookings required.